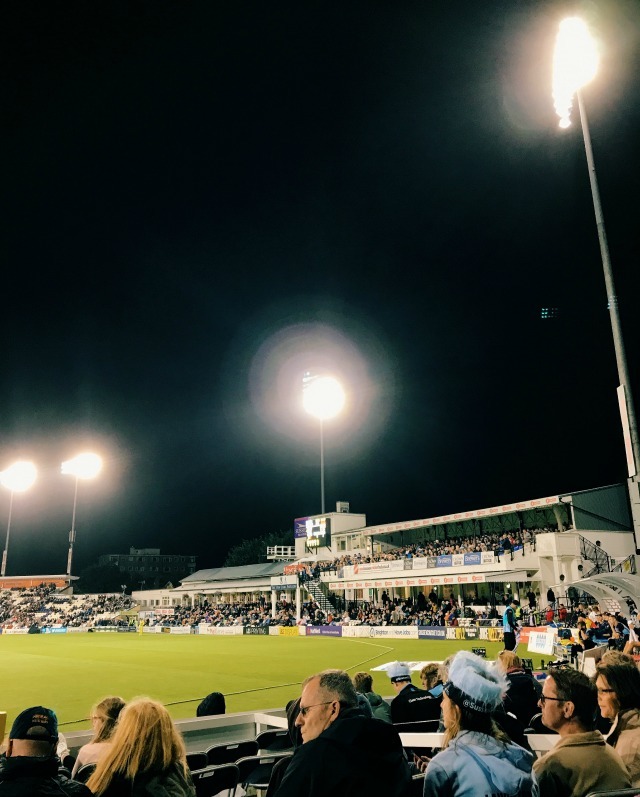 Last weekend we were invited to The County Ground in Hove to support the Sussex Sharks in their match against Gloucestershire. 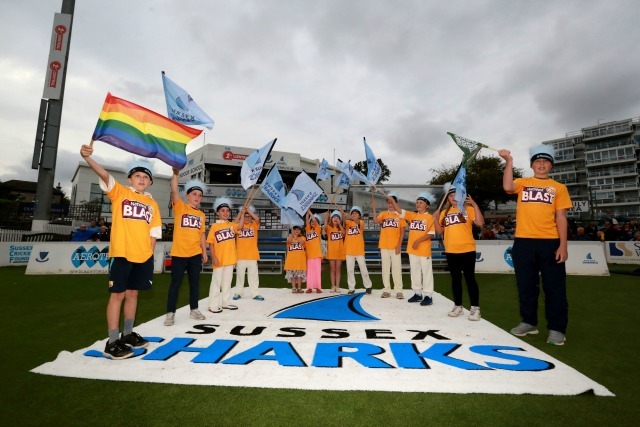 I might live in the country, where there's a cricket match taking place on the village green pretty much constantly throughout the summer, but this was going to be the very first time I'd ever watched a game - and, even more excitingly, the kids were asked to be flag bearers! 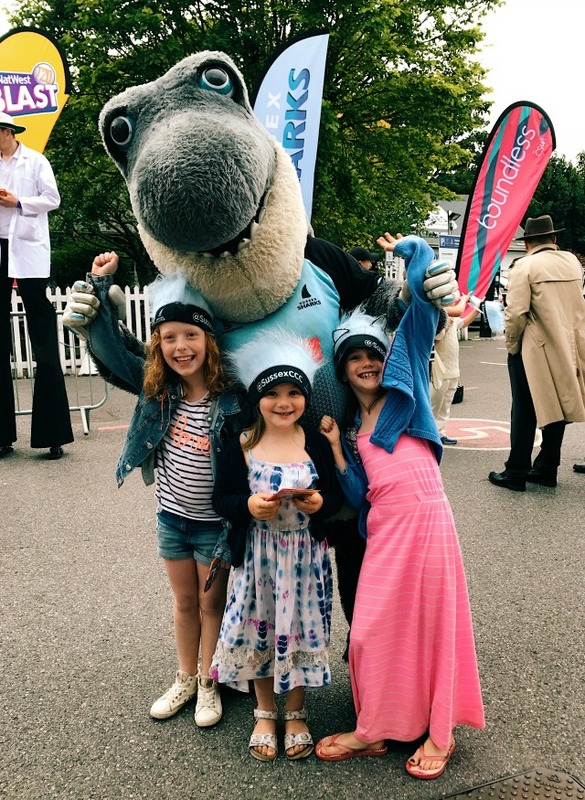 We arrived at the ground an hour before first over and were greeted by Sid the Shark, the team mascot, before being whisked off to get the girls kitted out with their Natwest T20 Blast t-shirts and flags! 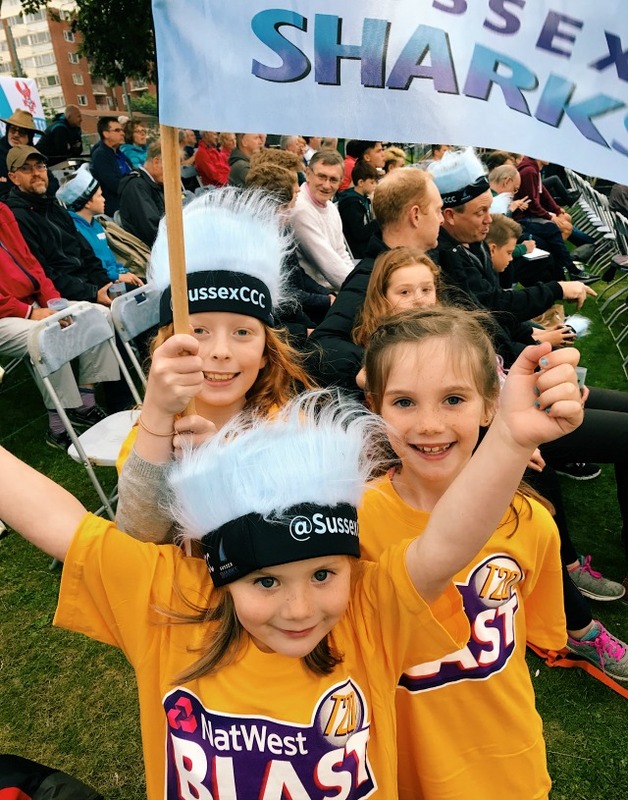 As guests of 1st Central, official sponsors of the Sussex Sharks, we had great pitch side seats and, after the girls had done their bit waving their flags as the team ran on, we settled down to see what a cricket match was all about! There was lots of shouting and cheering, loud bursts of uplifting music and a great atmosphere in the stands. It was a brilliant introduction to cricket for the kids (and for me). Tom explained the rules to the four of us, but there was also face painting, balloon modelling and autograph collecting to be done to keep the girls occupied. One thing that really impressed me was the food on offer - there were no overpriced, greasy hotdogs to be seen here! There was paella! Pizza! Vegan salads and wraps! 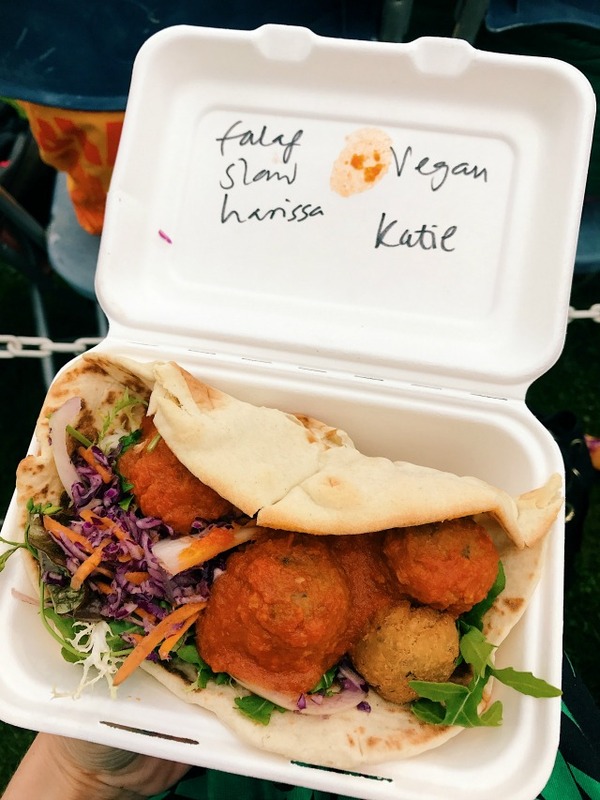 I had a falafel pitta with vegan slaw and harissa sauce and it was honestly one of the tastiest meals I've had in ages. The girls went for burgers and Tom had fish and chips - and there were happy faces all round! Thanks so much to 1st Central for inviting us down to such a brilliant event. 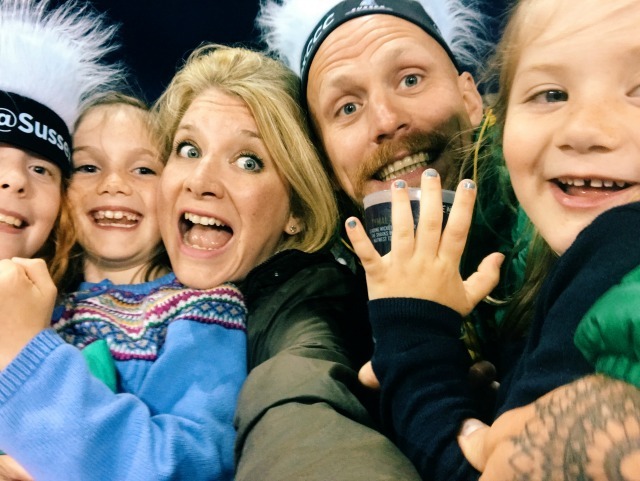 We absolutely loved it and will definitely be back! 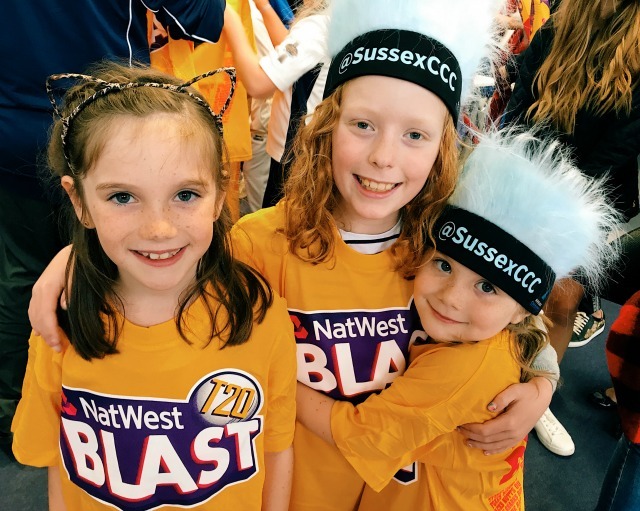 For more information, and for tickets, check out the Sussex Cricket website here.